Born on 1 September 1821 at Mintlin Lodge, near Lynn, Norfolk. Born in 1872 at Woodcote, nr Reading, Berkshire. Born in 1854 at Liverpool, Lancashire. Baptised on 21 January 1827 at Dawley Magna, Shropshire. 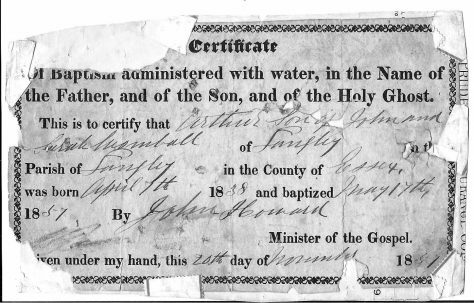 Baptised on 10 November 1873 at Catshill, Worcestershire. Born abt1843 at Astonefield, Staffordshire. Born on 22 February 1832 at Patrington. Born on 11 April 1824 in Shoreditch, Middlesex. Born in 1865 in Liverpool. Born in 1836 at Kentchurch, Herefordshire. Born on 8 September 1849 at Poplar, London. 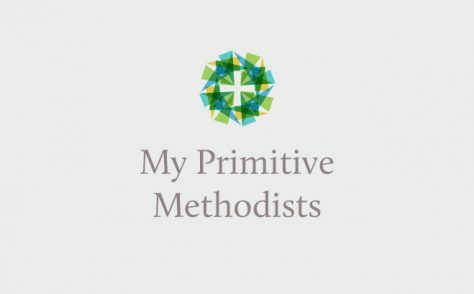 One of the first Primitive Methodist preachers. Born in 1858 at Docking, Norfolk. Baptised on 21 September 1828 at Hickling, Norfolk. Born in 1851 at Hoyland, Yorkshire. Born on 1 June 1825 at Flexton, near Manchester. Baptised on 9 September 1820 at St Mary, Leigh, Lancashire. Born in 1849 at Grimsby, Lincolnshire. Baptised on 11 April 1853 at Brompton by Northallerton, Yorkshire. Born abt 1866 at Bunbury, Cheshire.